I’m not just a gamer, I’m also a cyclist. I’m not one of those guys who picks up a bike to pedal to the shops once a week. I’ve got the lycra. I’ve got the stupid shoes. I’ve got the expensive bike. I’ve got the tendency to ride 100kms in the rain, up the biggest hills I can find, for no reason other than the fun it brings. I also follow the professional sport. I watch the one day classics. I watch the Tour of Britain. I watch the Giro d’Italia. And every single year, without fail, I watch the Tour de France. Religiously. 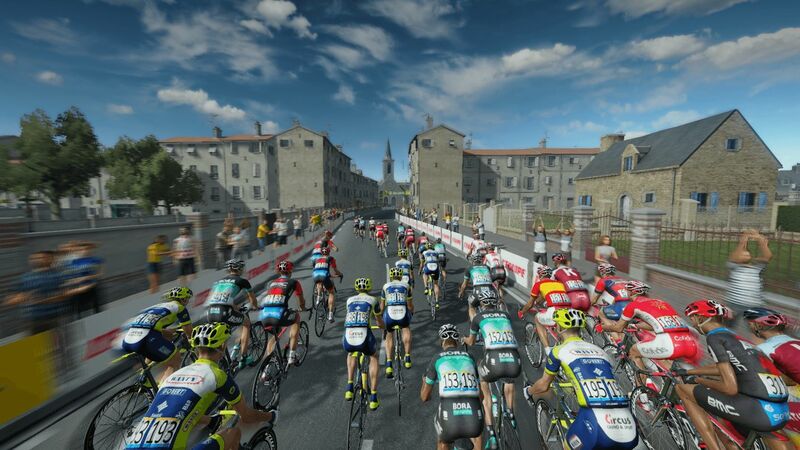 You could therefore say that Tour de France 2018 from Cyanide Studios and Focus Home Interactive is a game that is pretty much aimed at me. And you’d be right because for the best part of a decade, I’ve decided to play the official video game of the tour too. This year is no different. Unfortunately. Not unfortunately because I don’t want to see what Cyanide have created, but unfortunately because if past history is anything to go by, I think I know what is coming. See, there are many annual game releases. Konami drop PES each and every year, EA deliver a multitude of sports titles with various yearly improvements, Activision seem content on throwing out a new Call of Duty on a regular basis, and Ubisoft love an updated Assassin’s Creed. All of these are usually better than that which precedes it. Over the last few years though there has been another yearly franchise which has been created in order to fleece gamers – and cyclists – of as much cash as possible, all while coinciding with the biggest bike race the world has ever seen. 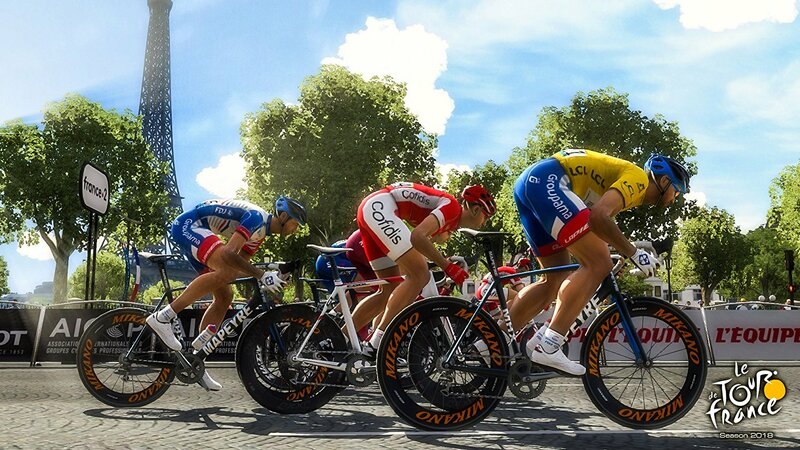 Yep, it’s le Tour de France time again and that means Cyanide Studios are back once more. But recent years haven’t been kind to Cyanide and their attempt at recreating the wonderful world of professional cycling. In fact, there’s been little in the way of improvement to the various editions over the years, with new game modes pretty much the only difference between them all. Does that mean the 2018 version of Tour de France is just another copy and paste job? Well yes that is very nearly the case. Again. If you take the game blurbs for anything, you may well expect TDF 2018 to be a bit different from the 2017 version. 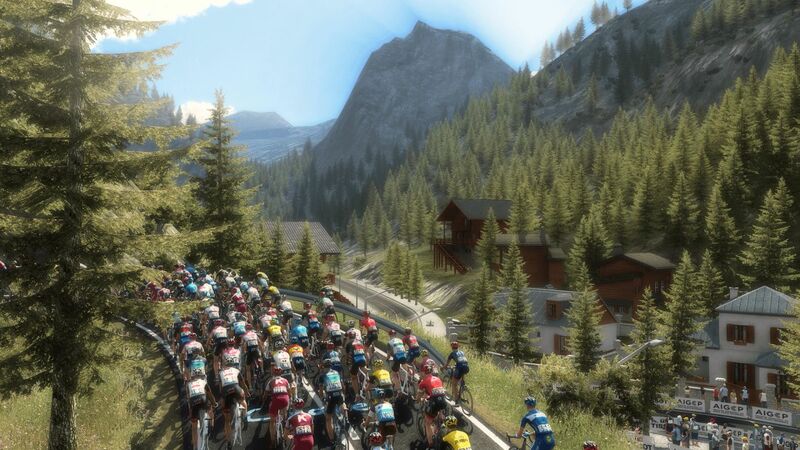 After all, it comes with the completely updated Tour, all the usual teams and riders, a brand new Pro Leader mode and integrated progression system, and a bunch of AI opponents who have been given a hit of aggression to ensure that anyone attempting an early breakaway will no doubt be caught quicker than before. For all the new ideas in the world though, TDF has previously fallen down in the one place that really matters – the actual gameplay. And that is again the case here, with each and every race bereft of real enjoyment, any excitement or decent gameplay mechanics. All the riders look pretty damn identical aside from the kit they are wearing, and the bikes are the same except for in different colours. 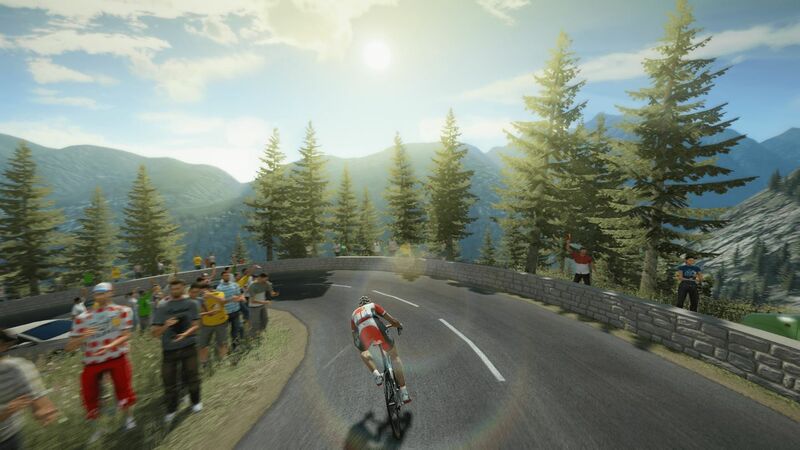 This really does throw any immersion that is needed out of the window, making the official Tour de France video game just any other bike racer – just with the mountains and flats of France as company. Yes, it’s good to see the official routes, teams and riders all in place, but once you’ve seen one mountainside, one rider, and one bike, you’ve seen them all. It doesn’t help that the cycling mechanics are still as bad as previous years either. Crashes are commonplace in any bike race, but in this game they are near on impossible, with riders either bouncing off of each other and any barriers to continue along the road ahead. Failing that, they’ll just cycle straight through them without a care in the world. Seeing your controlled guy magically move to the outside of the road, before wall riding thin air is a sight to behold. Don’t get me wrong, there are crashes, but unless you are going out of your way to action one, will struggle to ever see anyone go over the handlebars and land in a heap on the floor. And even when they do, within a split second they are back up again and ready to carry on. Where are the damaged bikes, Cyanide? Where is the ripped lycra? The broken bones and blood…? That said, should you attempt to keep out of trouble and actually go about competing, the control scheme is fairly tight. Pedalling is super simple, attacking requires a mash of the face button, and taking a gel to ensure that your energy is kept high for those end of stage attacks is a cinch. Fast forwarding is also possible, if only to get those boring flat stages out of the way, and issuing commands to your fellow team members either whilst on the bike or in the overview mode is fairly straightforward. It’s just a shame then that the rest of the gameplay is so bad that you’ll very quickly wish to start fully simulating the races instead of actually taking part in them. Is that the idea of the game? Well, no, not really – but at least the option is there. If the dodgy mechanics don’t get you, then you know for a fact that the hugely repetitive commentary and shout outs from any race director will. They are bland, they are constant and they bring absolutely no enthusiasm in their lines. Win or lose, you’re treated to the same dull tones, and it’s a massive disappointment to see little improvement in this area over previous games. In fact, the very best bits of the audio found in TDF 2018 centre around the words ‘Allez, allez, allez’. Just. Like. Before. What has improved though is found in the game modes, as there are a number of options included. As you would expect, they have to deal with the mechanical issues that beset TDF 2018, but should you be looking for something to get your teeth into, Pro Leader is the newest event. This lets you create a wannabe champion rider, before pushing them through multiple seasons in order to stand atop of the podiums. A full calendar consists of races running from February through to September, but the early years will be a bit of a struggle, with the likes of the Tour itself, Paris-Nice, the Euro Tour and more all closed down until you reach specific requirements. This sees a huge grind needed in order to both raise the skills of your rider and to ensure he has teammates alongside him who are worthy sprint winners or mountain climbers. To really get the most out of the Pro Leader mode you will need to be hugely dedicated to success, something which will be far too much of a grind for those not totally down with the cycling way of life. Should you enjoy it, you’ll find that multiple challenges are in place for you to aim towards, and these most definitely give a reason to head back in time and time again, if only because the completion of each one sees your rider stats rise, and your chances of hitting the podium or wearing the Yellow Jersey increase. This same grind afflicts the Pro Team mode too; something which is pretty much the same as Pro Leader except you don’t have to focus your efforts on one rider. Thankfully, the option of saving after every single race is present – and to be honest, thrust your way with gusto – while one off races are also possible should you be looking for a quicker hit. These come in the form of the one day classics or various stages of the Tour, the Critérium du Dauphiné, La Route Corse or Sprint Challenges. Should you wish to just check out an individual route, to see the lay of the land, or have only a few minutes to spare, these are great options that let you jump straight in with one of the real world stars instead of having to deal with the grind from the bottom up. Once again we also see the opportunity to get involved with a Challenge mode, something which basically throws us into a time trial situation, leaving the collection of bronze, silver and gold medals for hitting par times. These are simple button mashers at best, as you go on the all-out attack and just hope that you can keep hitting corner apexes well, and your energy levels high, in order to warrant a medal or two. Again, they are decent enough options for those with little time. I have to feel somewhat for Cyanide and I can’t blame their development team too much for not changing their tried and tested cycling formula from years gone by, and that’s because this official video game is fairly restricted in what it can do. After all, the main focus of the attention has to be the replication of the Tour itself and thankfully this time round that seems to be pretty much identical to what Chris Froome et al will be spinning wheels around. 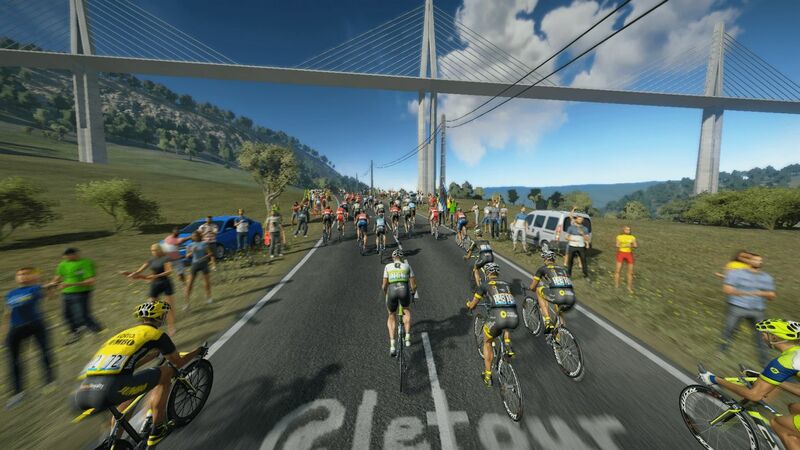 But without a full overhaul of the, quite frankly, rubbish game mechanics and poor visuals, this and any future editions of the Tour de France video game will continue to struggle to replicate the life of a professional cyclist, let alone have enough of a draw for gamers to worry about. Is Tour de France 2018 much of an improvement over those that have come before it? Well no, not really, and should you have any version of the game from recent years, you should just save your cash in the hope that next year sees some radical changes and massive improvements. If you haven’t yet played a Tour game, and are a massive cycling fan who is slowly being gripped by the hype, then this may just appeal. But even then, it’s still a hard sell.